Note: International media release. 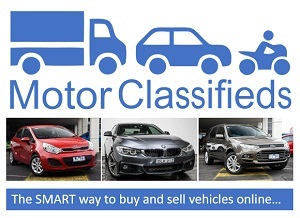 No changes have been made to cater for the Australian market. Details on the new CR-V for the Australian market will be announced in 2017. DETROIT, Oct. 13, 2016 – Honda has pulled the wraps off an all-new, fifth-generation CR-V, America’s best-selling SUV over the past 20 years. The completely redesigned and reengineered 2017 CR-V, going on sale this winter, boasts bold new styling, a more premium interior, the model’s first-ever turbocharged engine and a host of new features and technologies aimed at maintaining CR-V’s status as the outright benchmark in the highly popular compact SUV segment. American car buyers have purchased nearly 4 million CR-Vs since its U.S. launch in 1997. 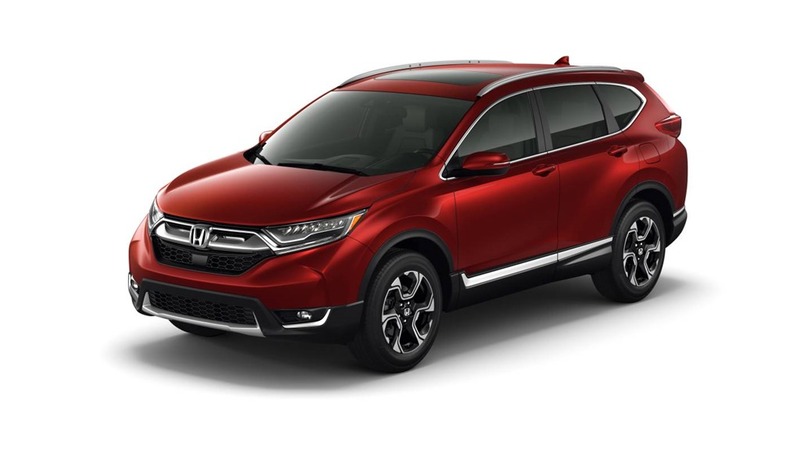 “The new Honda CR-V raises the bar in every imaginable way, delivering more performance, space and premium content together with higher fuel economy ratings and value than ever before,” said Jeff Conrad, senior vice president and general manager of the Honda Division. The CR-V’s new windswept front end appearance includes signature Honda LED headlights (Touring trim), a Honda-first Automatic Shutter Grille System that lowers aerodynamic drag, uprated aluminum alloy wheels (sizes 17 to 18 inches depending on trim) and narrower A-pillars for improved visibility. 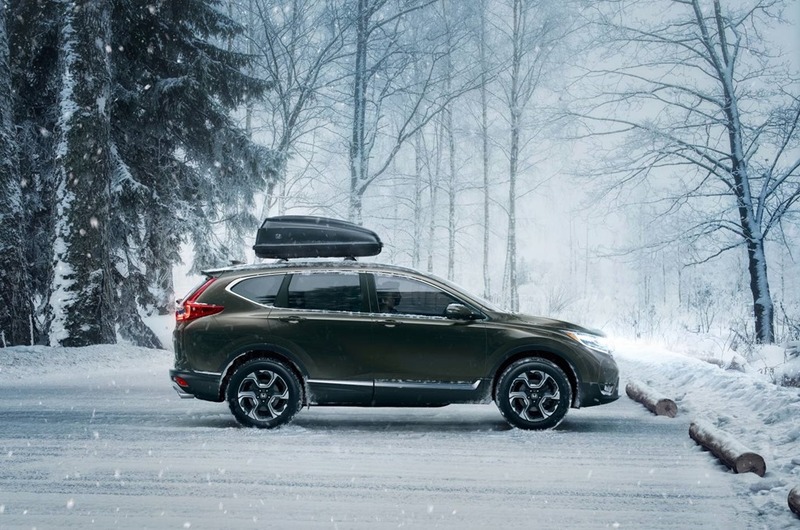 Adding convenience is a Honda-first available Hands-Free Access Power Tailgate, which allows opening and closing the tailgate with a foot activated sensor under the rear of the vehicle. Available Auto High Beam with High Beam Support (HSS) headlights, chrome garnishes, rain-sensing windshield wipers, roof rails and numerous Genuine Honda Accessories also expand beauty, convenience and functionality. 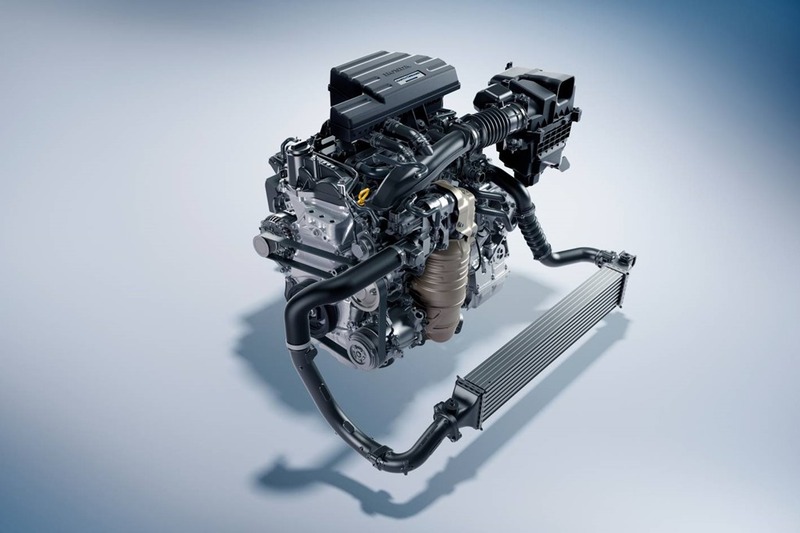 The 2017 CR-V in EX and higher trims will feature CR-V’s first ever turbocharged engine, a more powerful and fuel-efficient 1.5-liter DOHC, direct-injected and turbocharged in-line 4-cylinder powerplant rated at 190 horsepower (SAE net) and delivering incredibly refined and responsive performance across the engine’s full operating range. Combined with the CR-V’s more aerodynamic body, the new turbocharged powerplant will garner the highest EPA fuel economy ratings in the compact SUV class. 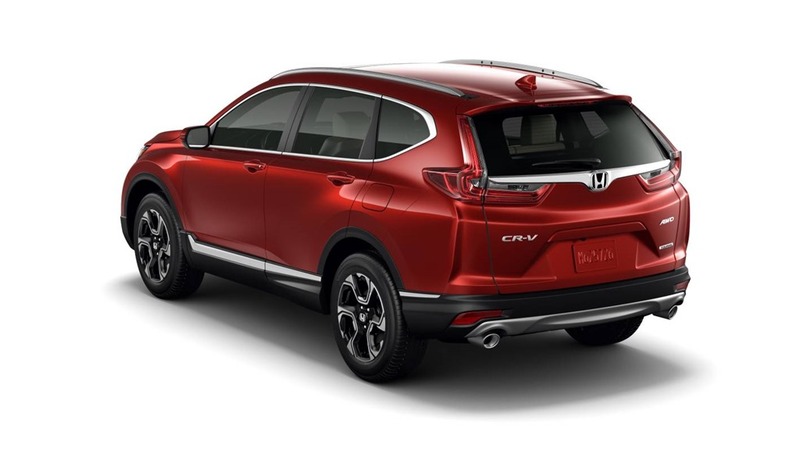 CR-V LX trims will be powered by a 2.4-liter DOHC, direct-injected i-VTECÔ engine, and both engines will be mated to a smooth shifting and sporty continuously variable transmission (CVT) with Honda G-Shift control logic. Detailed specifications, including EPA ratings, will be provided closer to launch. The all-new body and chassis design in the 2017 CR-V provides more agile and confident handling, greater refinement, additional ground clearance and superior overall versatility. 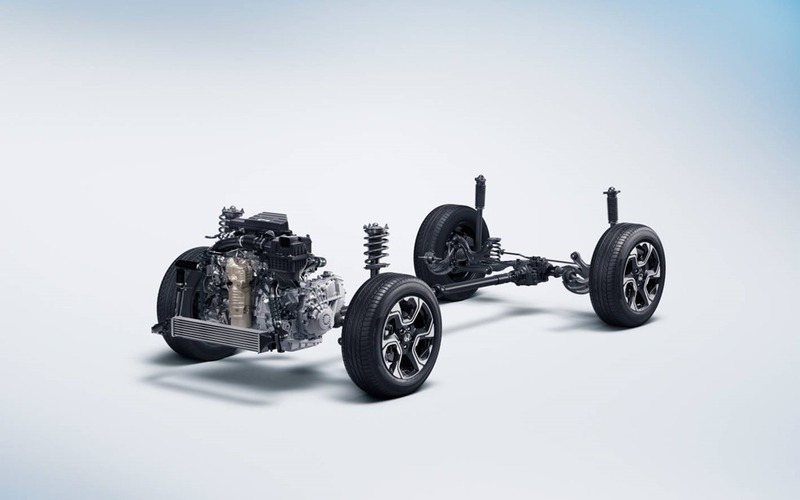 Its front MacPherson strut and rear multi-link suspension utilize specially tuned low-friction dampers, with both FWD and AWD models including tubular front and solid rear stabilizer bars that promote quick turn-in and flatter cornering. Dual-pinion, variable ratio Electric Power Steering (EPS) also contributes to the CR-V’s direct and satisfying steering feel. The CR-V offers the latest in-vehicle connectivity and audio performance with a new generation of advanced technologies. 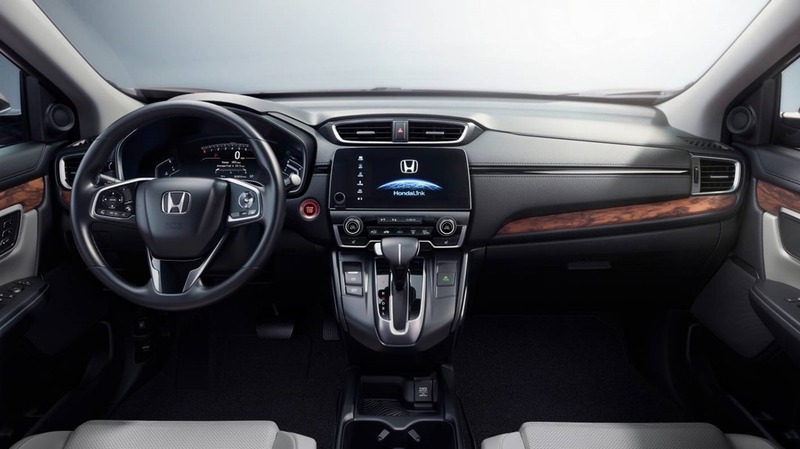 Available features include a 7-inch touchscreen Display Audio interface with Android operating system that now features a physical volume knob as well as an available new Honda Satellite-Linked Navigation System™ developed in cooperation with the experts at Garmin®. The CR-V ’s Display Audio system is compatible with the Apple CarPlay™ and Android Auto™ platforms, giving customers seamless integration of key smartphone features and functions, including smartphone-powered GPS navigation and voice-controlled search capabilities. 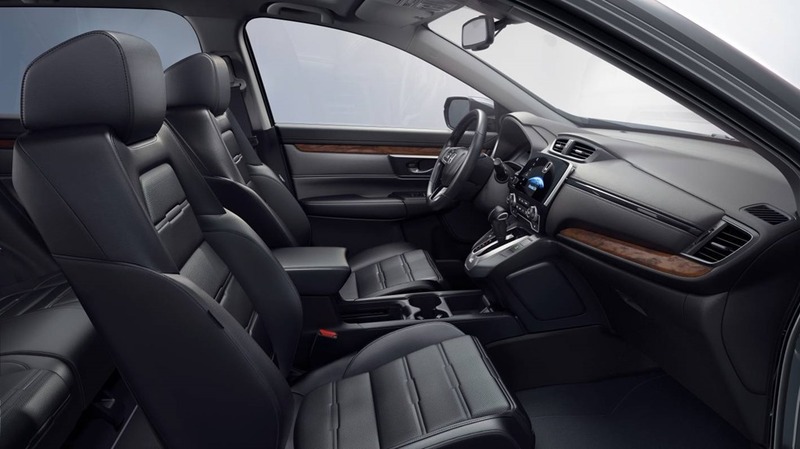 Some of the key new comfort and convenience features available on the 2017 Honda CR-V include remote engine start, dual-zone climate controls, heated side mirrors, an Electric Parking Brake (EPB), rear USB charging ports, front passenger seat with 4-way power adjustment, driver’s seat with 8-way power adjustment and 4-way power lumbar support, and heated front and rear outboard seats.